“The search for a bright future” with an SCM Group maxi system for doors and windows. This is the meaning of “Wang Mei”, the name chosen for Wang Mei Wood Window, a company owned by China ITD Investment Co. Ltd., a true giant of the Chinese glazing industry. It was one of the first to propose low emission glazing, showing great attention to environmental performance and issues. Wang Mei – with headquarters in Beijing and two production sites, in Tianjin and Hebei – in just a few years has achieved a record size and record production. Its aim is to supply a market experiencing strong growth with top quality wooden doors and windows, with “European” standards, able to guarantee excellent performance in terms of insulation, comfort, quality and performance. “Everything that we do has to support maximum quality”, says Yao Jianlong, General Manager of Wang Mei Wood Window. “We’re convinced that windows are the eyes of a home and it’s through them that people perceive the beauty of life. This is why we pay maximum attention to quality, to the materials we use, to the hardware – which we import directly from Germany – and, obviously, to technology." Everything aims for perfection, to ensure customer satisfaction. We guarantee the rapid substitution of old doors and windows, without damaging walls. We provide a three year guarantee and arrange regular visits to check that product effi ciency remains unchanged. We target the top end of the market, which means not focusing on aluminium doors and windows (90 per cent of the market). We prefer to support the philosophy, aesthetics, comfort, beauty, performance and environmental sustainability of wood. Today more than 500 million square metres of doors and windows are made in China, but wooden windows are a “luxury” item, increasingly appreciated in a very rapidly changing market. China is also seeing a rise in the number of people who don’t want mass produced items, preferring high quality customised products. This is one of the reasons why Wang Mei chose Scm Group, for the certainty that the Italian group’s technologies guarantee flexible, high quality production, at the same time maintaining high levels of productivity. 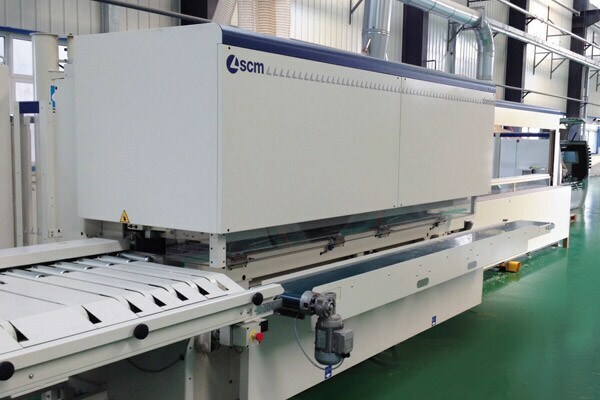 In March 2014 the Chinese giant decided to invest in 5” integrated lines made by Scm Group and it became the first company in China to use top level technologies for flexible door and window manufacturing, setting a new benchmark in the sector in China. 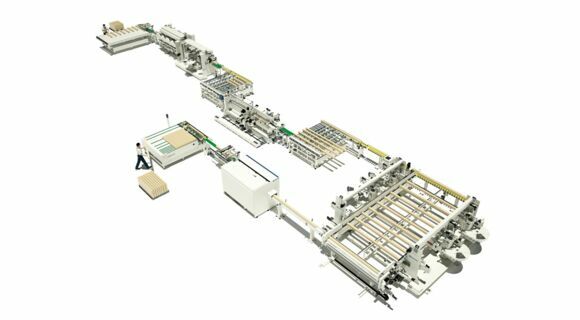 For Wang Mei Wood Window SCM Group is a single, highly specialised supplier, able to cater for all production requirements thanks to the huge and varied range of technologies it offers. 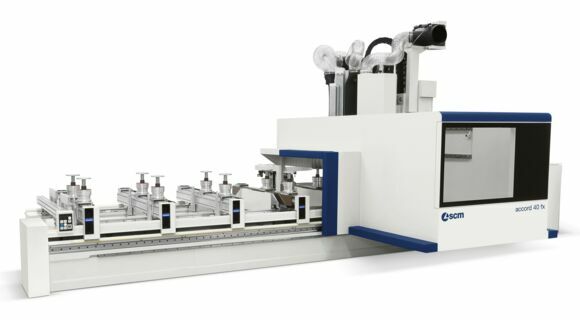 In addition to the two System 5 lines, at the ITD Group factories they use the “SCM Accord 40 fx” machining centre, the “SCM Superset nt” automatic throughfeed moulder, the “SCM Domino” angular machining centre and two Superfici finishing plants. The complete SCM Group supply also includes machine installation, technological tool supervision, management software and highly qualified personnel with sector-specific experience. This meant that the factory could be set up to make 250/300 windows per shift, European type IV 68, IV 78 in wood and wood/aluminium. The whole production process for doors and windows was designed and taken care of right down to the last detail by SCM Group.